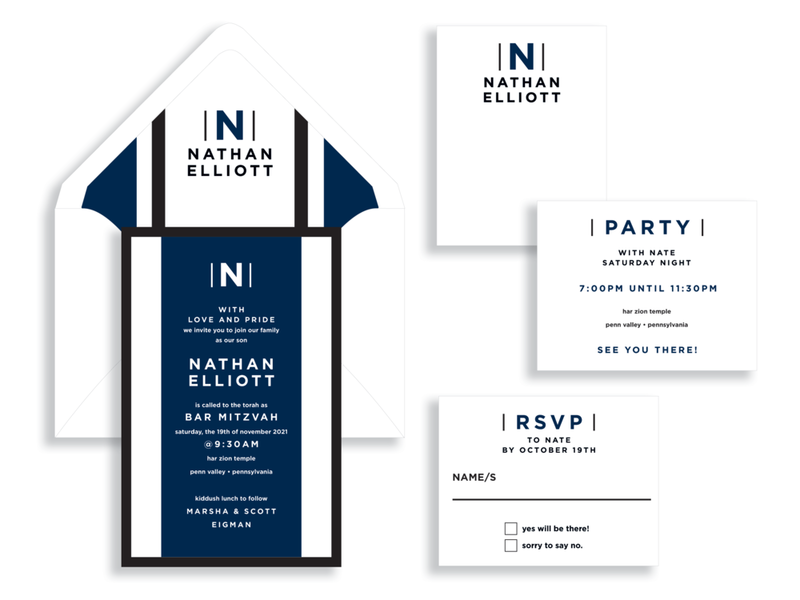 This navy blue Bar Mitzvah invitation called “Nathan” is simple, yet detailed in it’s very own way! Bold center stripe framed by thinner ones are a great “sporty” accent. Use a backing layer of navy, black, or any contrasting color for a great accent. This suite can also be created in red and black! Or yellow and black! Are these colors not quite right? No problem! We can create a custom pallet for you! 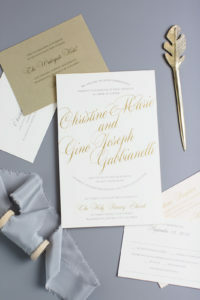 Envelope – We can do your guest addressing to take the stress out of mailing! 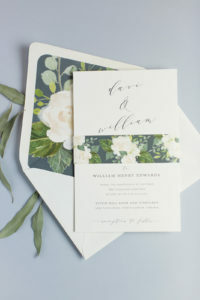 Envelope Liner – What a fun pop of color! 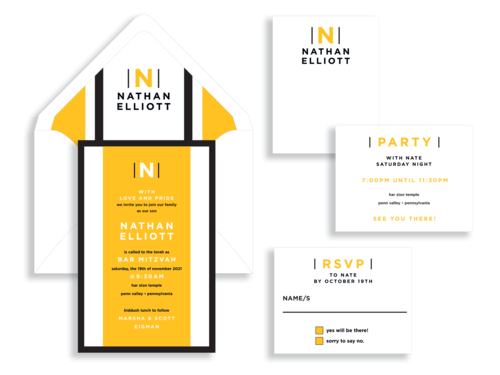 Response Set – Includes coordinating flat card and addressed envelope. 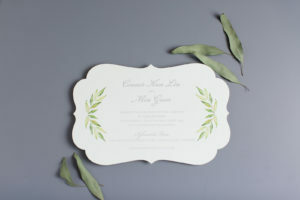 Reception Card – Invite guests to the party after the temple ceremony. Additional Inserts – Need to provide info about accommodations or parking? 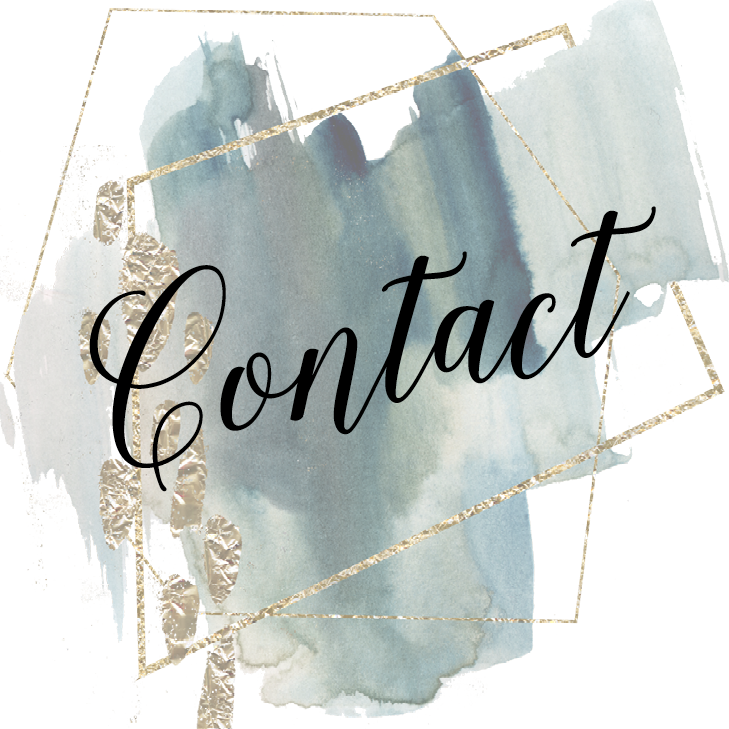 Want to include special instructions for event? No problem! We can provide any coordinating pieces you need! 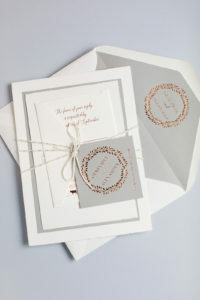 Have a name or a special verse printed in Hebrew on the invitation and/or inserts. Celebrate your DC, Maryland, or Virginia Bar Mitzvah in style with a flat printed suite from B.T. Elements.